Looking for activities to add into therapy sessions, recommend in home programs, or to use in the classroom or home? 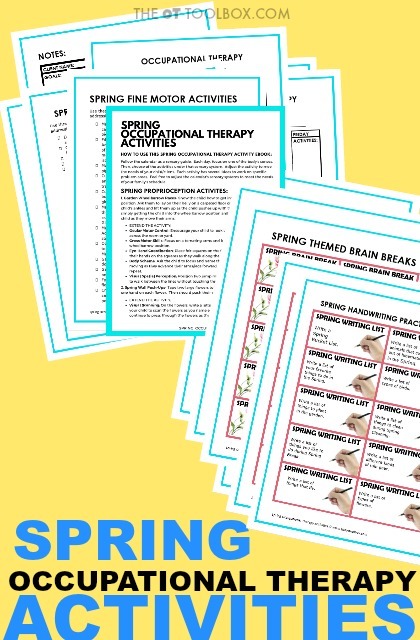 You probably want ideas that promote developmental skills that kids need for effective and functional skills. 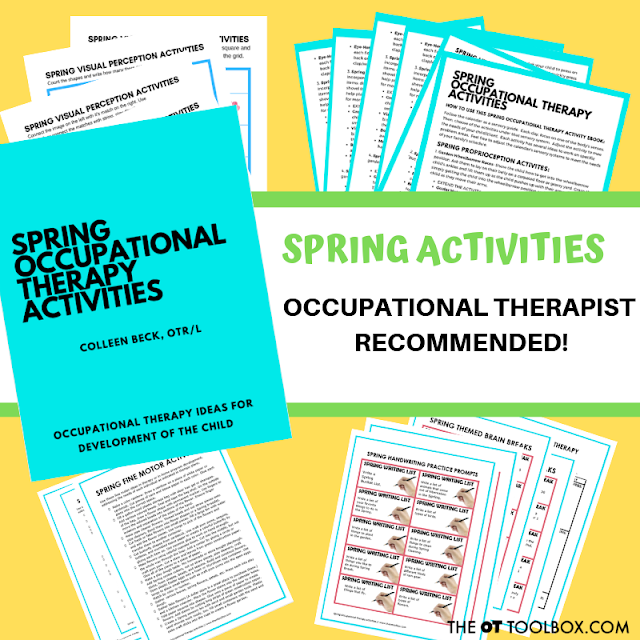 That's why I've put together the Spring Occupational Therapy Activities Packet! NOTE: This packet is not intended as treatment or intervention. 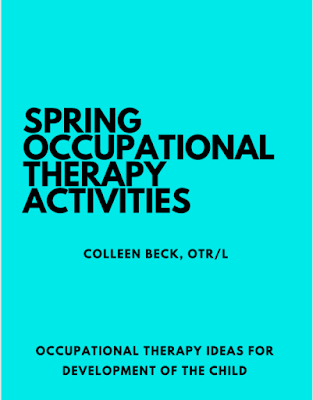 It's to be used as an educational resource and in conjunction with therapy plans as indicated by a child's therapist following individualized evaluation. Activities should be completed under supervision by an adult.